VUČKO (orange Bobsleigh Sled) number of participants: 5 persons. VUČKO achievable speed track up to 80 km / h.
Duration of VUČKO downhill ride: 60-70 seconds. This offer is available from October to mid-March. Kids can ride as well, but only if a parent is present. Vučko rides are very popular with people. 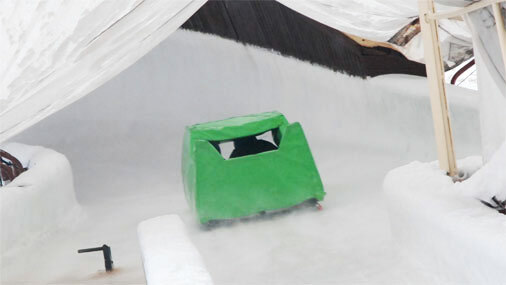 It is now possible to enjoy the ride with the GREEN FROG (Skeleton Sled). 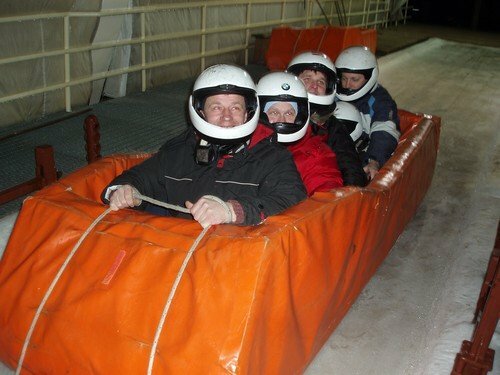 It goes 70 km / h.
During summer time Bobsleigh Sled are organized in a bobsled rides a sleigh with wheels attached. 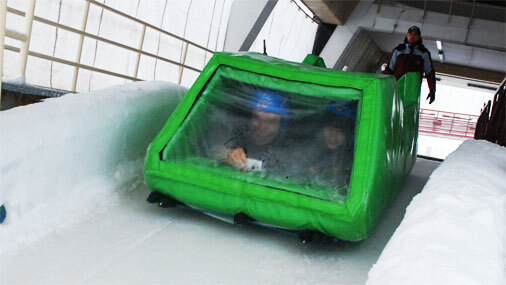 Thrilling ride with a summer bob “will be remembered as one of the best adventures of your life. Speed: up to 80 km / h.
Kids of at least 6 years of age can ride as well, but only if a parent is present.